The Sydenham Double Bowl Sink will certainly make any kitchen more attractive. 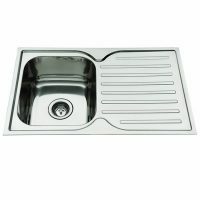 This stylish and elegant stainless steel sink features two large bowls and is available in either a left hand or a right hand bowl configuration. This sink is extremely easy to install and its smart looks will complement any kitchen décor. While the Sydenham Double Bowl Sink is stylish, it is also highly practical. 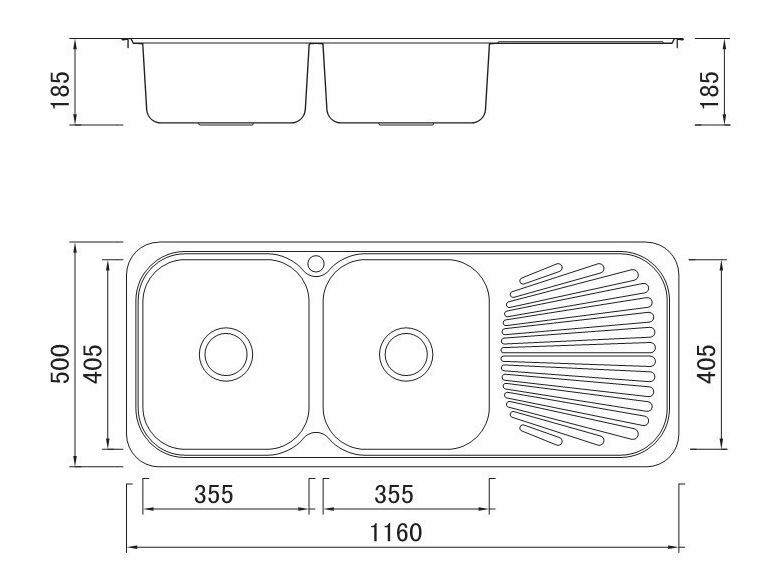 Measuring 1180x480x185mm, this kitchen sink is perfectly sized for any kitchen. 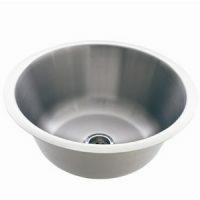 The dual stainless steel bowls are sound proof and include basket wastes as well. The Sydenham Double Bowl Sink includes a single tap hole with reinforced tap landings for added strength and durability. 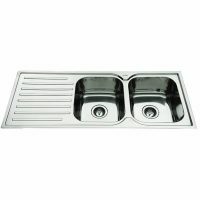 The Sydenham Double Bowl Sink is a high-quality product which is manufactured to the finest of standards using 0.8mm stainless steel. The stainless steel components are backed by a 10 year guarantee, while a 1 year guarantee is offered on all non-metallic parts. Rest assured – this is a high-quality and heavy-duty sink which is sure to offer you many years of service. 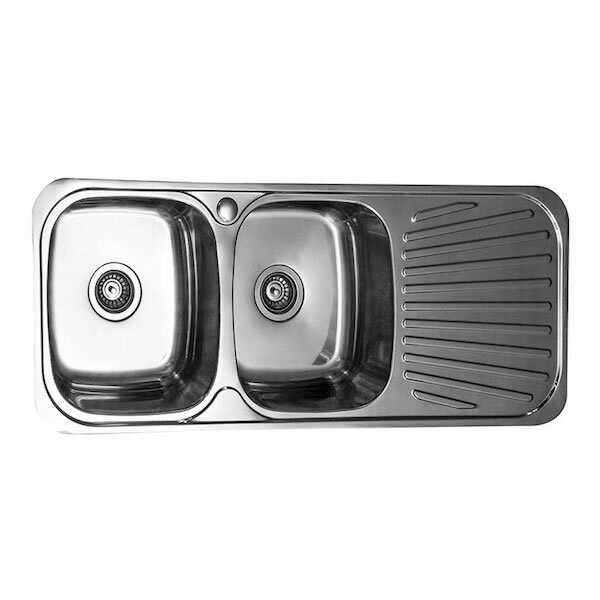 The Sydenham Double Bowl Sink is sure to add practicality and style to any kitchen. Buy this product at the lowest possible price – only at Ross’s Discount Home Centre!